Mr JIA Shenghua is a professor of Zhejiang University and serves as the director of Zhejiang University’s Property Research Center. Mr JIA graduated from Northwest Agricultural University with a doctorate degree in agricultural economics and management. Since 1989, Mr JIA has been teaching and conducting researches in property economics, property development, and enterprise management in China. He furthered his study in Germany from 1993 to 1994. He is currently a member of Zhejiang Enterprises Management Research Society, Zhejiang Land Academy and Hangzhou Land Academy. Mr JIA is also an executive council member of the Global Chinese Real Estate Congress, a council member of the Zhejiang Provincial Real Estate Association, and a member of the Expert Committee of the China Real Estate Research Association. At present, Mr JIA acts as an independent non- executive director of Yinyi Real Estate Co., Ltd. (stock code: 000981.SZ), Rongan Property Co., Ltd. (stock code: 000517.SZ), China Calxon Group Co., Ltd. (stock code: 000918.SZ) and Hangzhou Binjiang Real Estate Group Co., Ltd. (stock code: 002244.SZ), all of which are listed in Shenzhen. 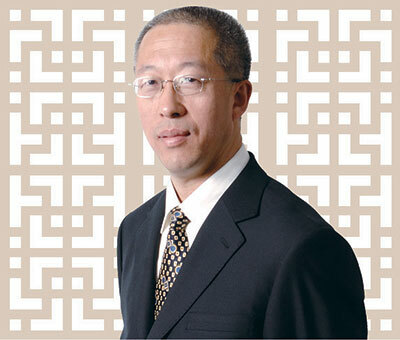 Mr JIA was appointed as our independent non-executive Director on 22 June 2006.